Social media is one of the most dynamic and influential things today. Not only does it holds immense opportunity for your business, but continues to add dynamic features that can give you a competitive edge over your competitors. In fact, social media has the potential to take your business from zero to success if you correctly identify its role in your current marketing stack. The absolute best way to market a small business on social media on a budget is by proving that you are an authority in your industry. Whether you are a marketer or a gardener, you need to prove that you are the most knowledgeable and experienced professional available. Share tips on your area of expertise on all major social media platforms including Facebook, Twitter, LinkedIn, Instagram, Snapchat, Pinterest and YouTube. Write and post informational blog articles about topics that will provide value to current and prospective customers. Engage with other industry professionals via Facebook comments, LinkedIn posts, and Tweets. It won't happen overnight but your knowledge and value will become known across social media. You will then have a steady stream of organic high potential leads, referrals and repeat customers on social media. Here are some important social selling tips for business owners that will help them use social media to the best for adding value to their business. The goal is the must for doing anything. Identify your business goals and branding objectives. Align your business goals with your social media plans. Identify if your goal is to get an email list of potential or existing customers, taking feedback from customers, promotion of your brand, introduction to your products, increase the number of clicks on your app, increasing number of app installs, or increasing customer engagement in your app, etc. Your strategy needs to be planned accordingly. On social media platforms you need to know whom you want to sell your products or services to and segment those customers on the basis of the age range, hobbies, family status, career position, relationship status, income status, gender, geographic location, etc. You may be either look forward to keeping your existing customers engaged or targeting potential lookalike customers. Whoever you are targeting needs to be clear so that you can formulate the social media content accordingly. You need to analyse and think clearly to determine if you are choosing the right platform and if that platform is relevant and effective amongst users. About 5 years back only Facebook, Twitter, and LinkedIn constituted the big three social media channels. Now new network channels like SnapChat, Reddit, YouTube, WhatsApp, Instagram, Pinterest, Tumblr, Flickr, Quora, Periscope, and others have widened the social media options you have for marketing. You need to identify how technology, tools, and data flow between each of these platforms and choose the best for your marketing campaign. It is not possible to achieve the desired results in any field without proper planning. So, create an effective social media strategy to prevent fumbling and flailing your way through social media. You may like to include a content strategy and a posting schedule in your strategy. The voice, style, and tone of content also need to be predetermined. An effective way to handle complaints also needs to be sought. It is important to establish who is given which responsibilities and access and define success. Analysis of social media profiles and the various ways to do it along with the amount of money and time to be spent on it are important factors that need to be planned. No one has time to look at irrelevant content. Users expect recognition for their loyalty to brands they interact with and love. They want that the brand should also value them and send them to content relevant to their needs and expectations to make their experience as personalized as possible. Improved personalization for users is a major trend in social media with the improvements in social media analytics tools and business-specific features. Social listening is more important than just messaging online. You need to track not only the content your competitors are creating and sharing on social media, but also monitor their mentions and user comments to analyse and compare your performance. Web monitoring can help you collect an enormous amount of data on your company and your competitors and help in forming your marketing strategy. Web monitoring and social listening provide marketers with means to craft better and more personalized content for the users. Also, monitor all content that is posted on your business and respond directly in a personalized tome. You need to recognize the long-term benefits of permitting employees to use social media as an additional outlet for your brand’s awareness. A single employee may be having 520 Facebook friends, 460 LinkedIn contacts, and 380 Twitter followers. So, ten such employees account for advocating your brand to 13,600 more people. Recommendations from people who are known personally lead to more trust in the brand. By providing the right direction, guidance, and encouragement to your employees, you can make them the best ambassadors for your brand. Social media videos have taken a front seat as the video feature is no longer restricted to YouTube only. Now Facebook, Instagram, LinkedIn, and Twitter all provide native video options which you can use for advertising and promote your brand. 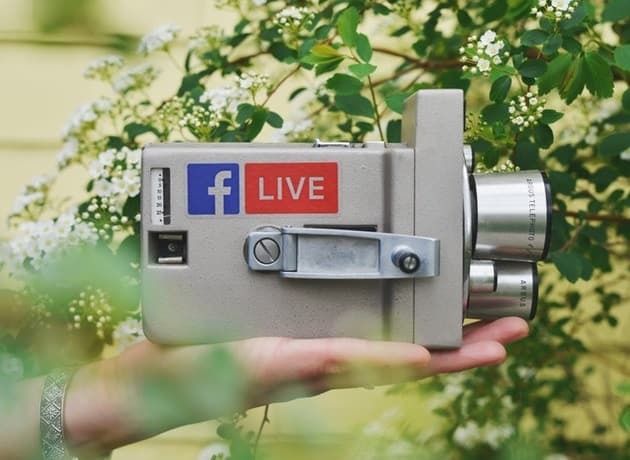 You can also broadcast live videos on Facebook, Snapchat, Instagram, Periscope, and YouTube for social selling purposes and to provide an even more genuine message to followers. As social media is evolving continuously, you can get a competitive edge in your business by staying close to your users. You can expand your reach to customers using the immense opportunities social media offers you in this regard. You need to take time and understand the needs of your customers by understanding their emotions, desires, enthusiasm, and other such natural indicators through social media platforms and utilize this information to make an impact on your business truly. This will ultimately help you to generate more leads, sales, and revenue streams. It's time to get social and get selling! Author Bio: Juned Ahmed is an IT consultant by profession and is working with Indianappdevelopers.com, leading app developers in India. He has more than 8 years of experience in developing and implementing digital marketing and social selling strategies. I hope you enjoyed this article about 8 important social media features that all small business owners and startups need to know.